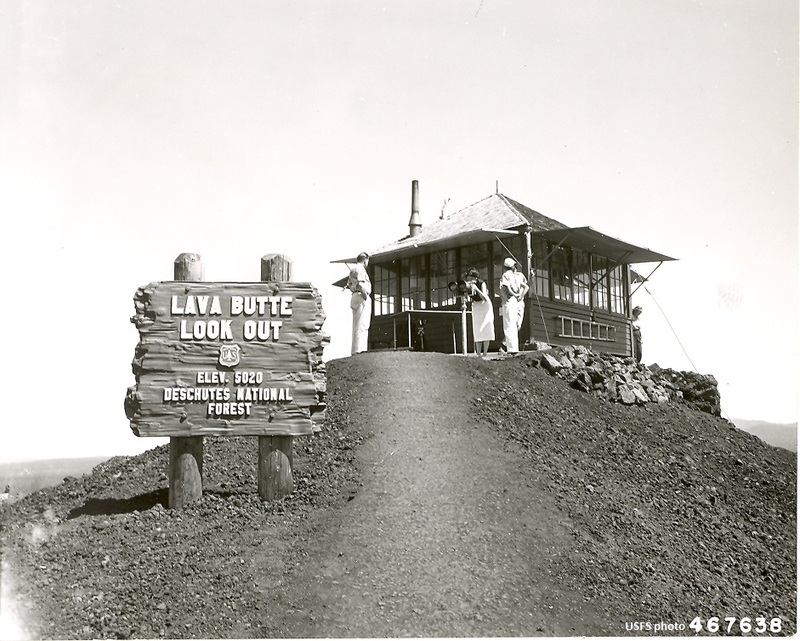 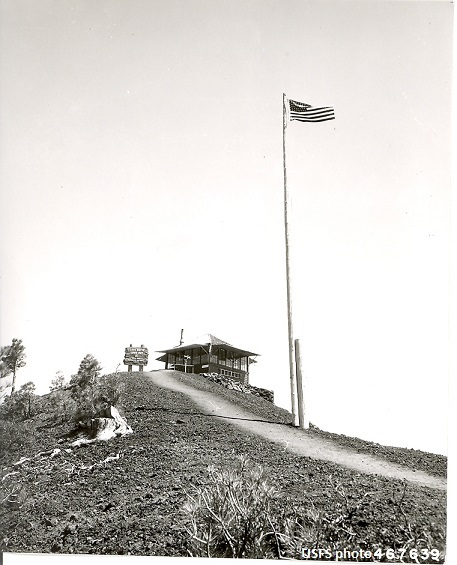 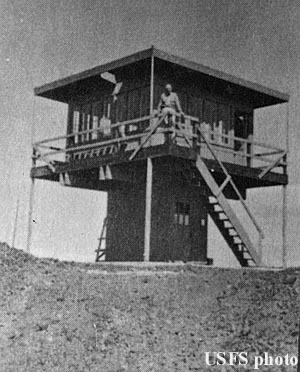 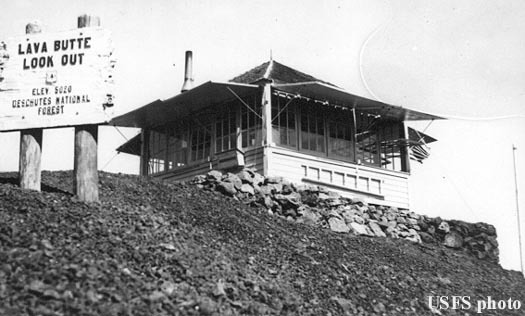 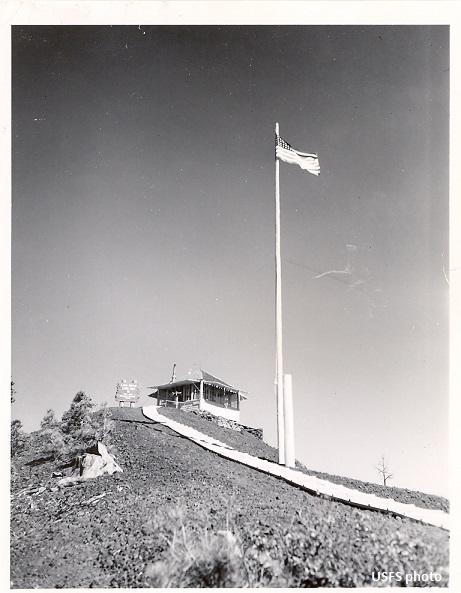 Originally developed atop the volcanic cinder cone in 1931 with an L-4 cab, a 2-story R-6 flat cab replaced it in 1957. 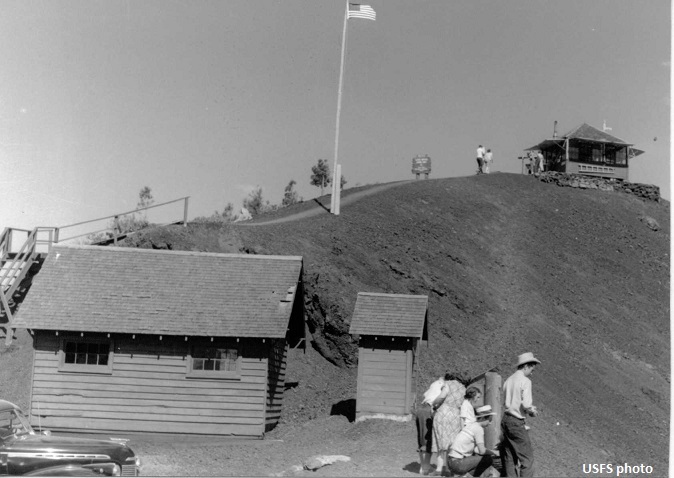 The first floor was expanded in 1960 for a visitor center. 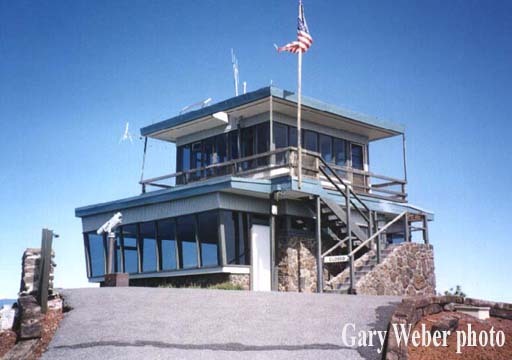 The structure was dismantled in 1997 to make way for a brand new lookout/visitor center. 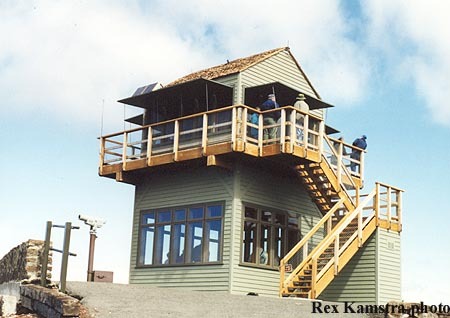 The present lookout, a 2-story replica of a gable-roofed L-4 with 1st floor visitor center, was built in 1998. 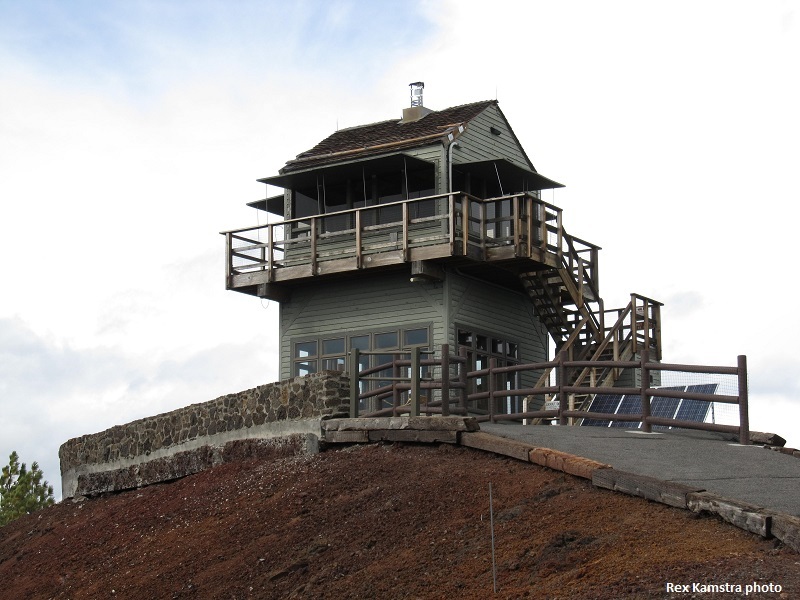 More fires have been reported first from Lava Butte than any other lookout on the Deschutes!